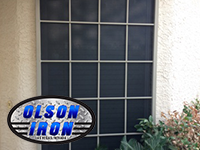 with Olson Security Solar Screens. 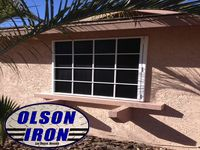 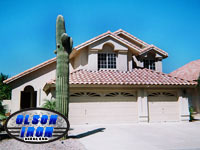 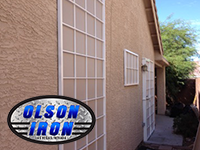 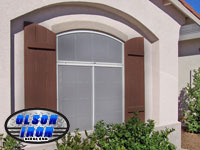 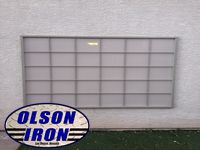 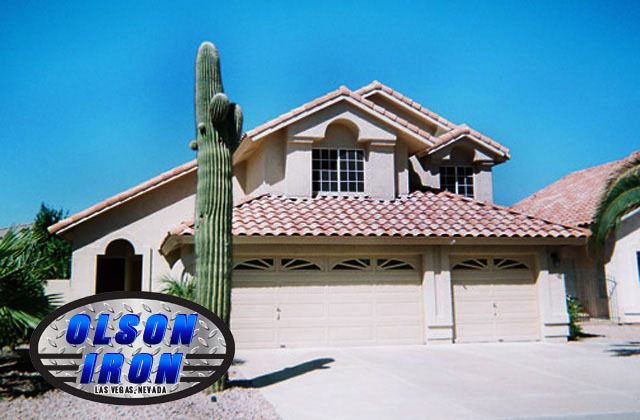 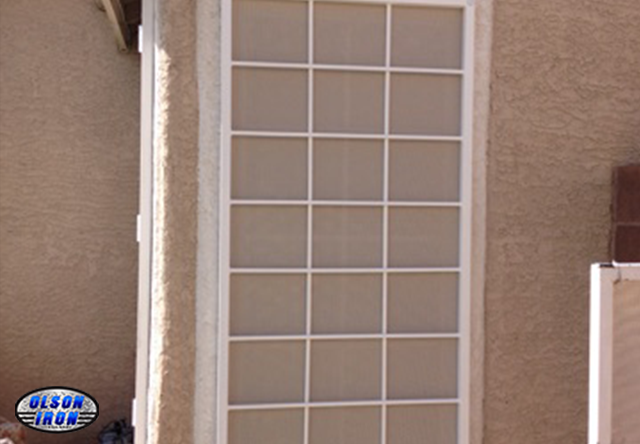 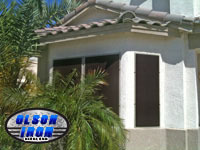 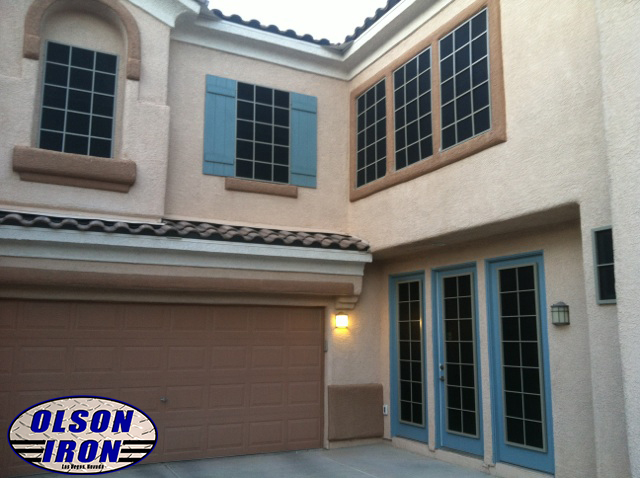 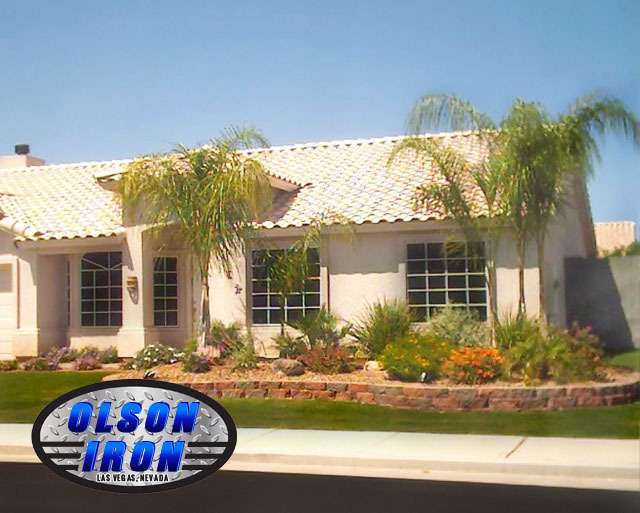 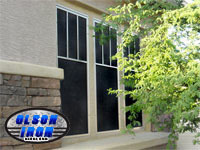 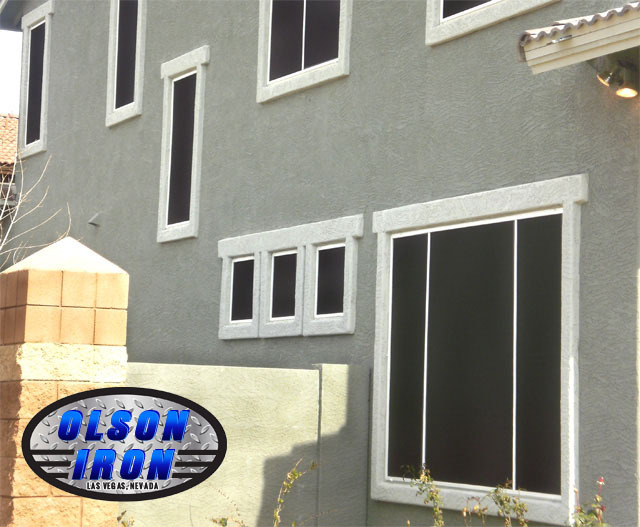 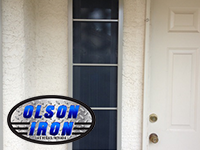 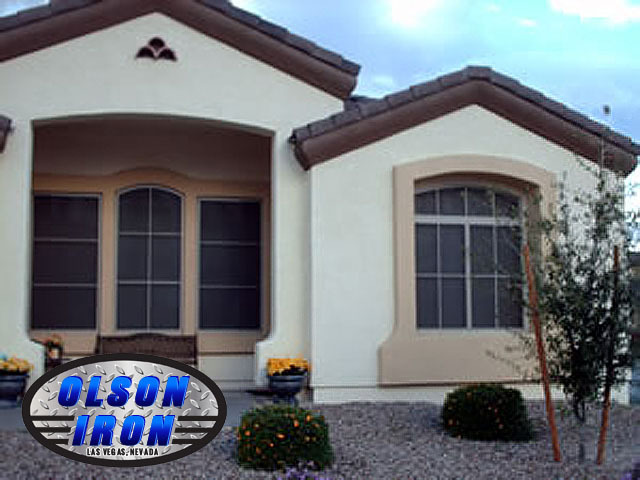 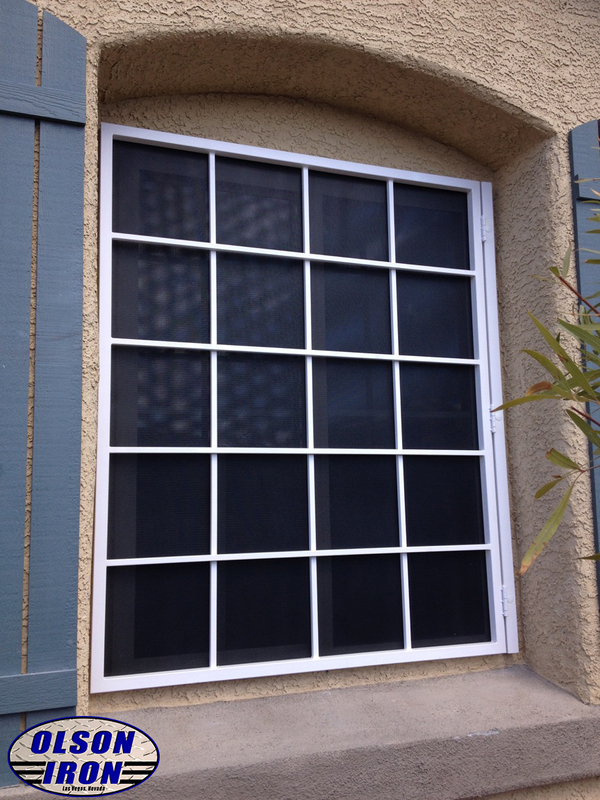 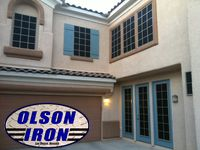 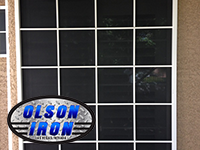 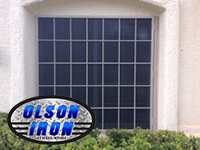 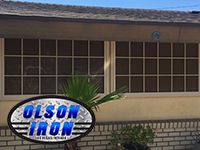 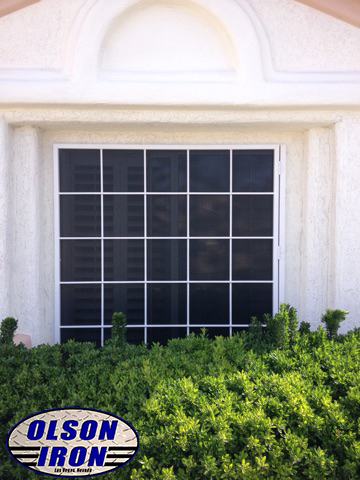 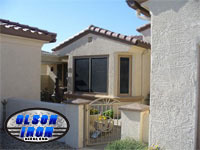 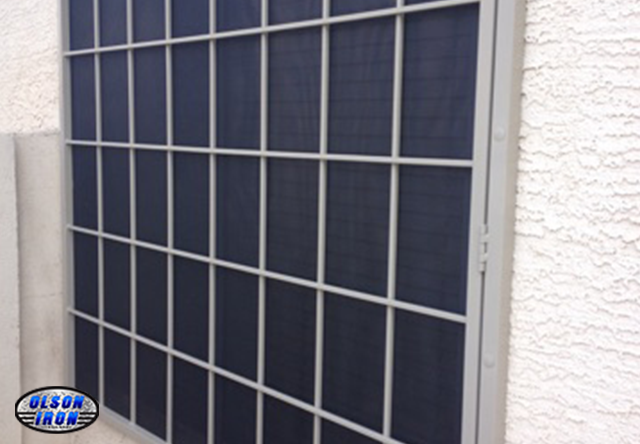 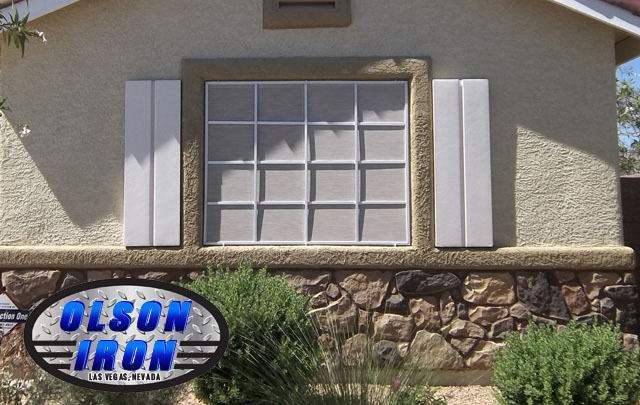 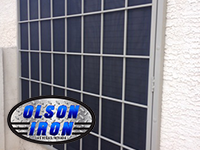 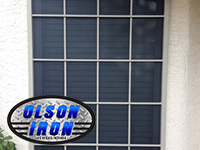 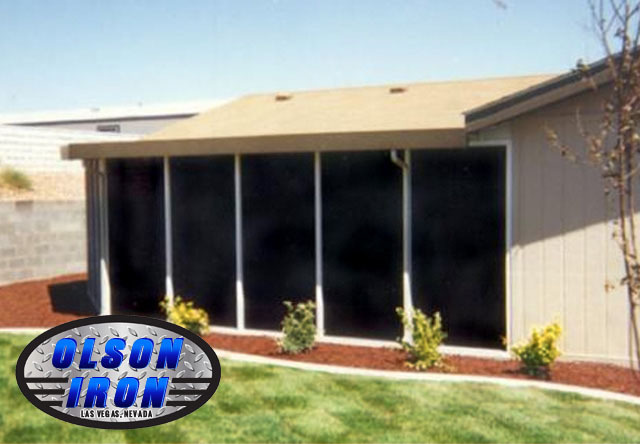 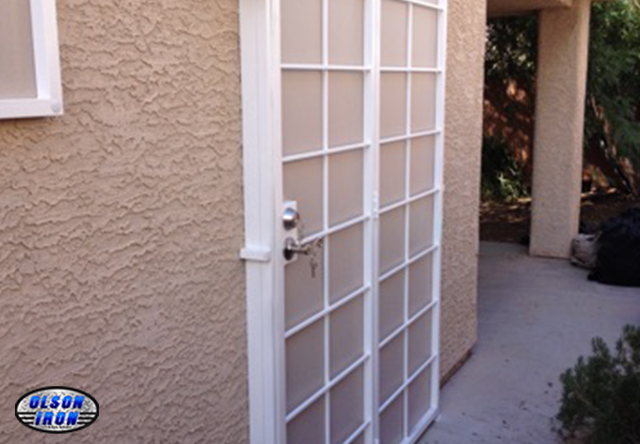 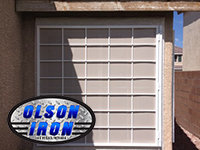 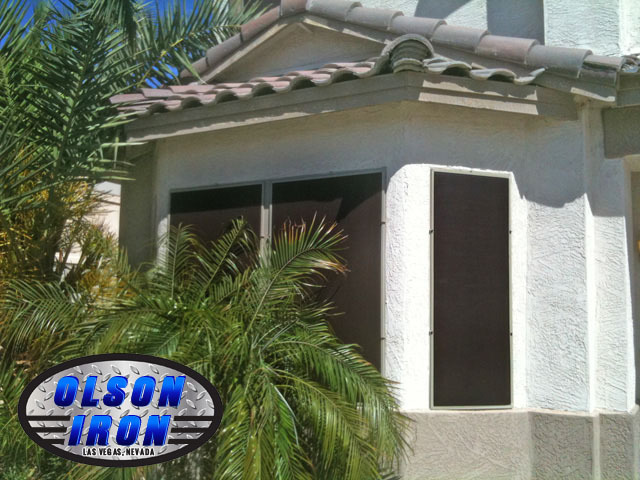 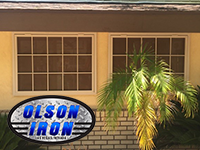 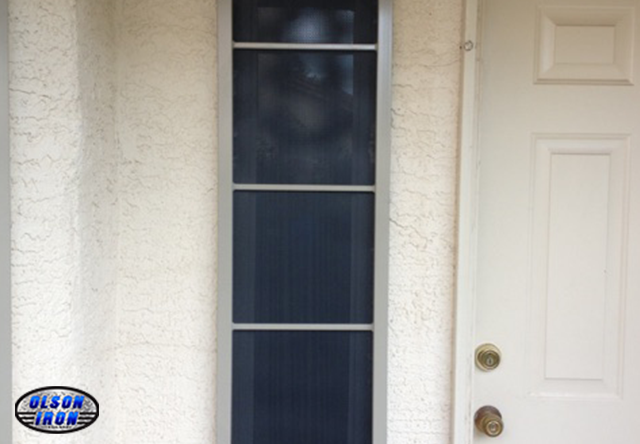 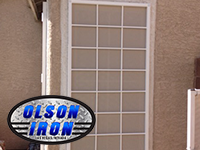 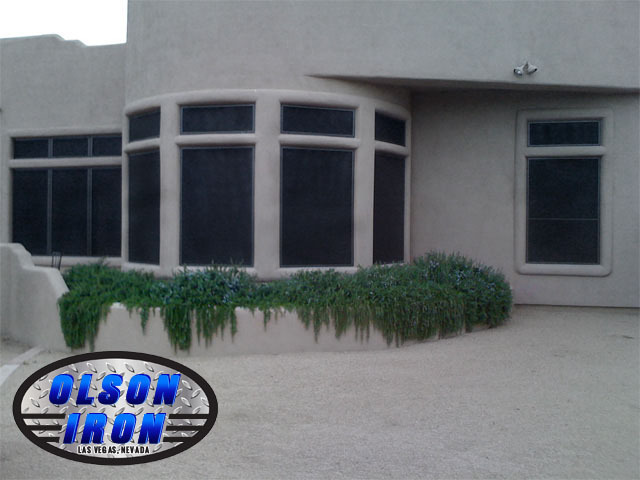 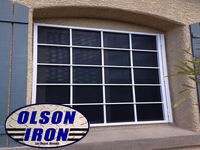 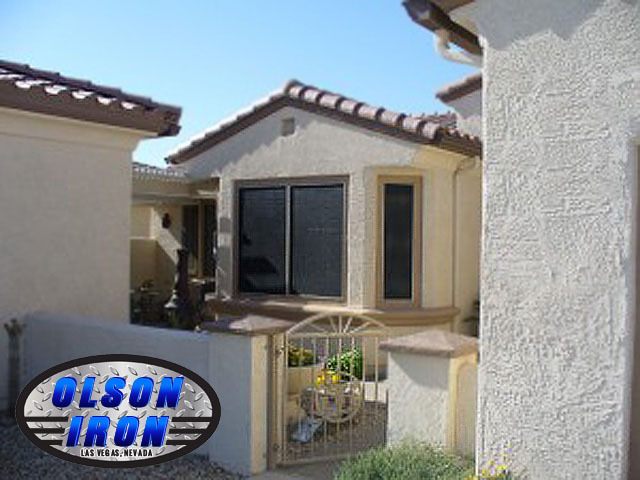 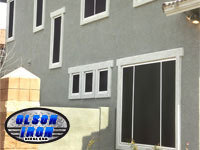 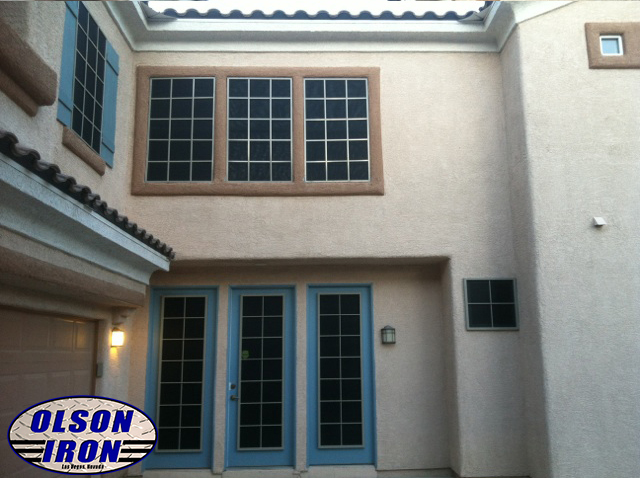 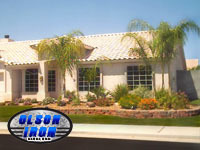 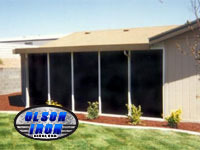 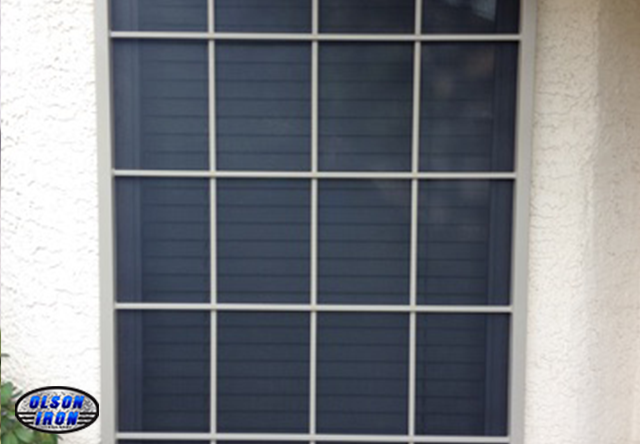 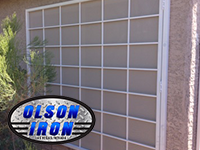 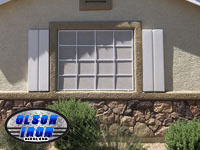 Olson Security Solar Screens are an effective security system for your home and family. 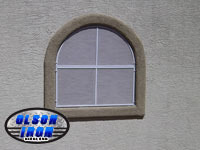 They also can save you money by reducing the penetration of the hot summer sun. 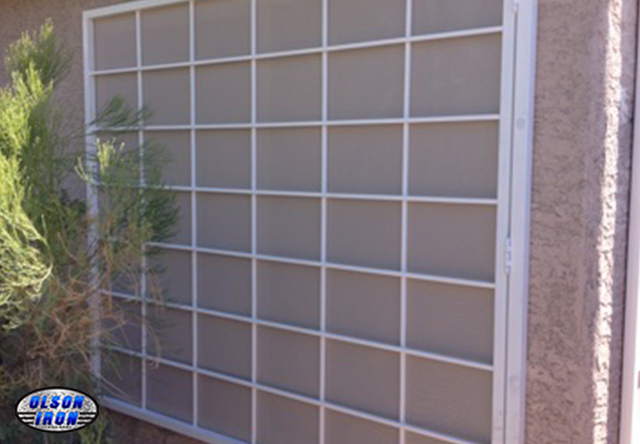 In addition, the privacy screen allows you to easily see outside, but makes it difficult for passerby's to peer in to your home. 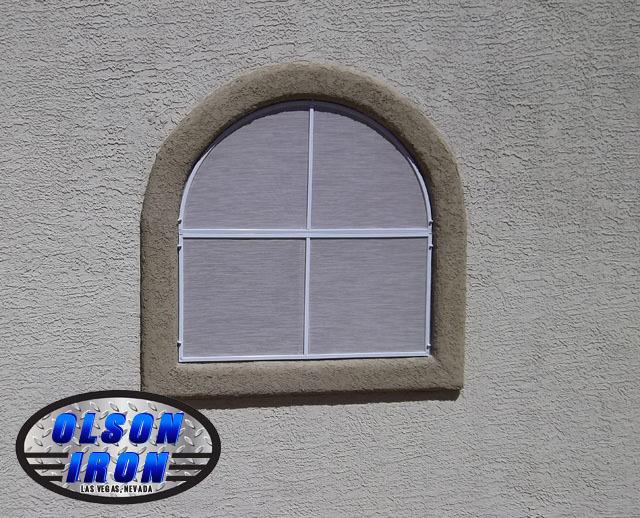 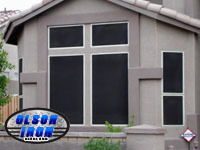 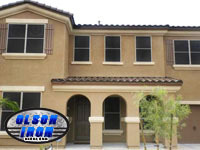 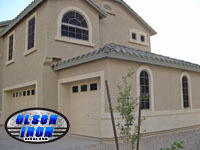 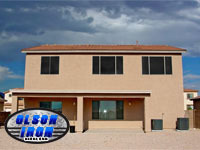 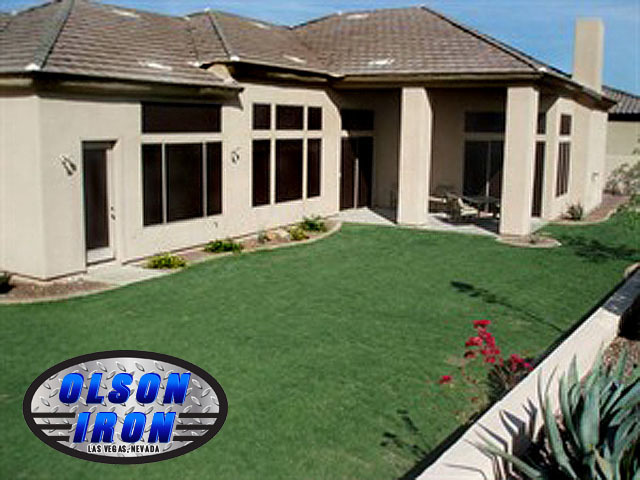 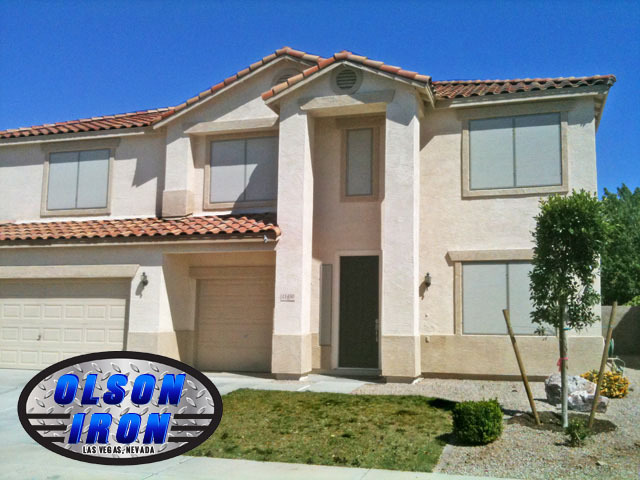 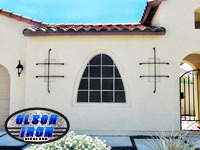 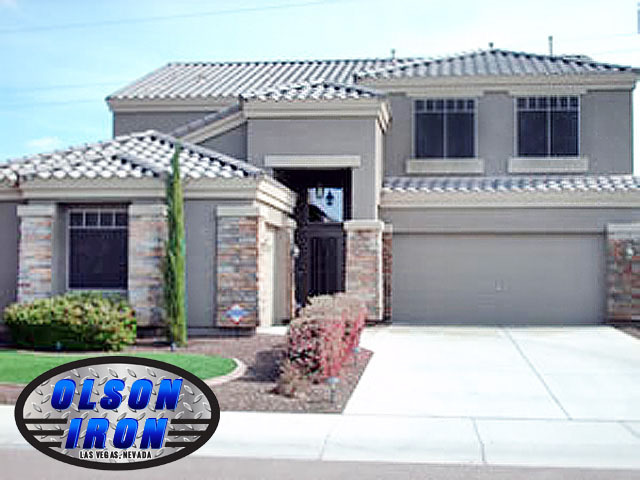 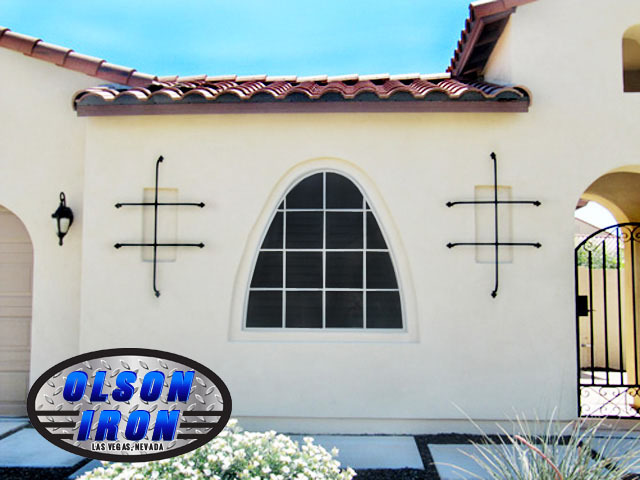 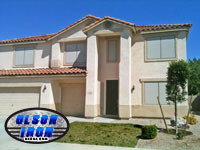 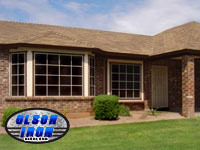 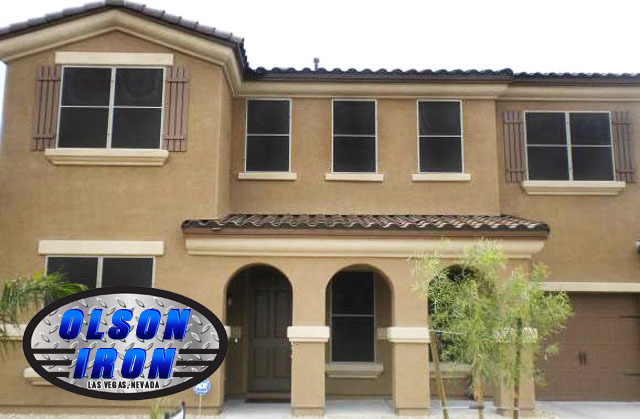 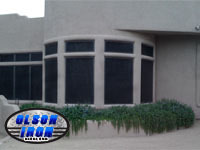 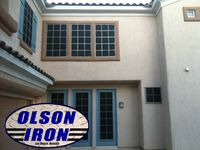 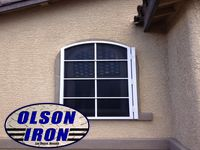 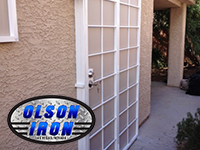 Olson Security Solar Screens understands that your home is your castle and your investment. 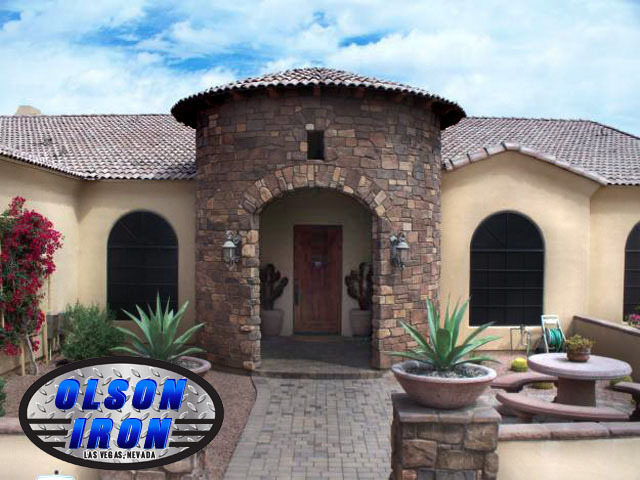 Therefore, the timeless beauty of wrought iron, combined with its strength and long lasting durability provides style and security to your home. With Olson Security Solar Screens, you can rest assured you've made the smart choice for your home and family. 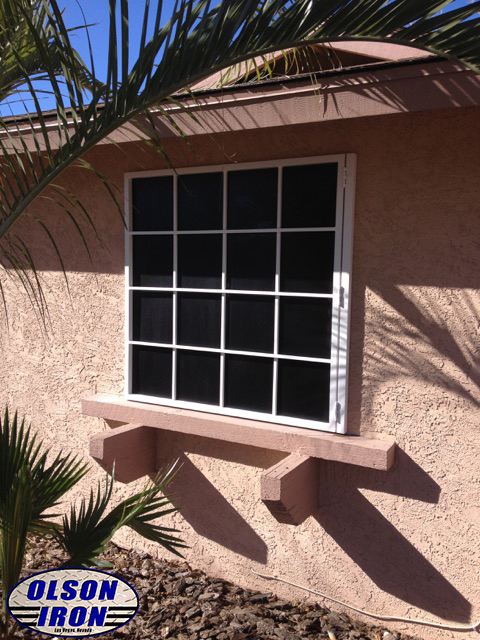 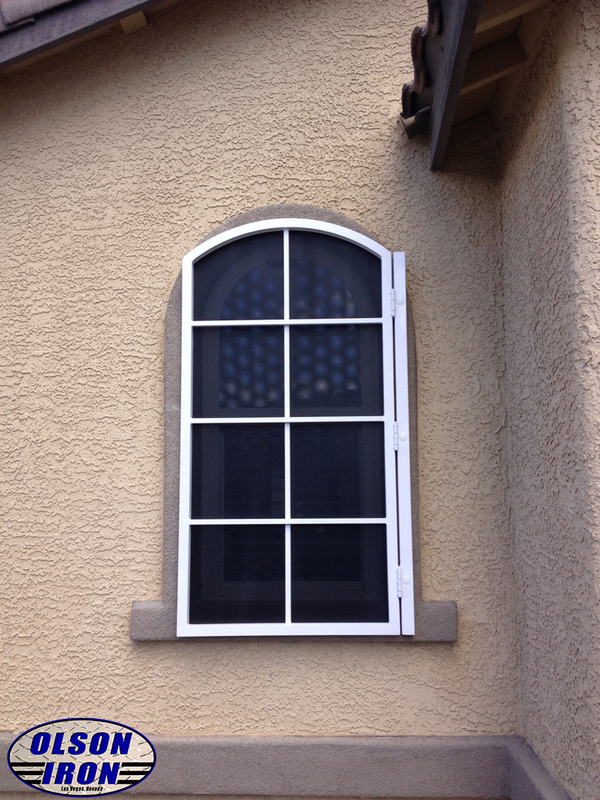 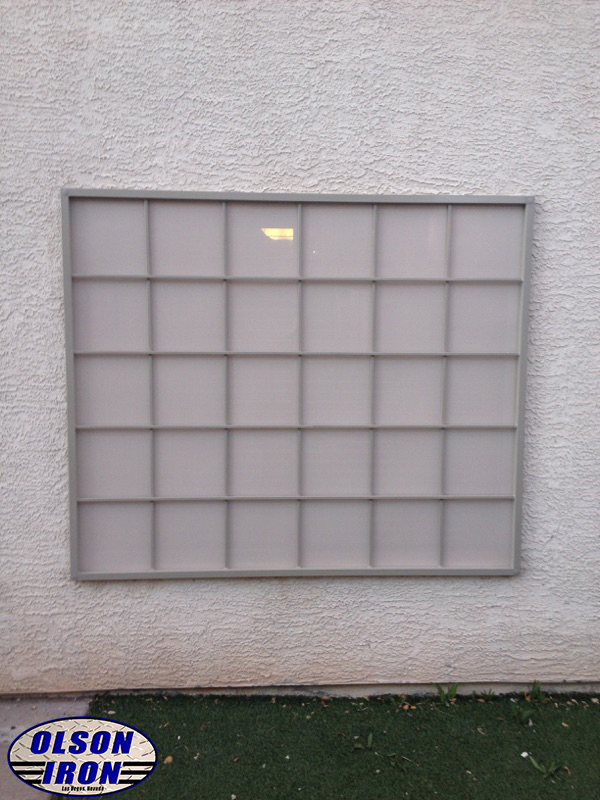 The windows in your home are the number one source of heat gain in the summer. The most effective way to reduce the heat gain on your home is by shading the sun before it heats the glass. 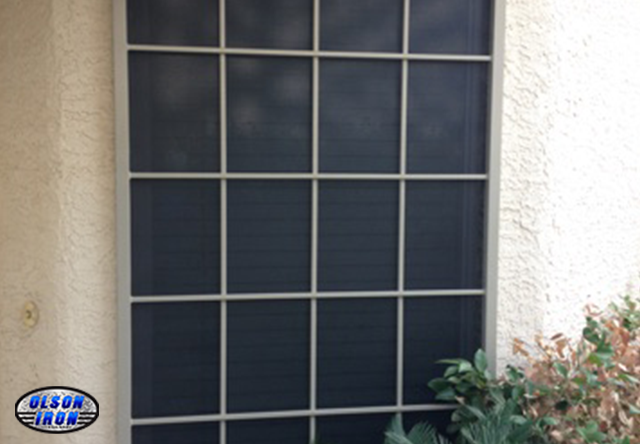 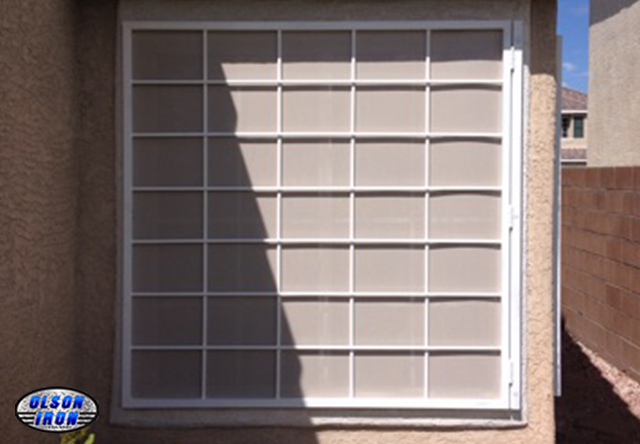 Curtains, blinds and window tint all block the sun after it has heated a windowï¿½s glass, so the heat is free to enter your home. 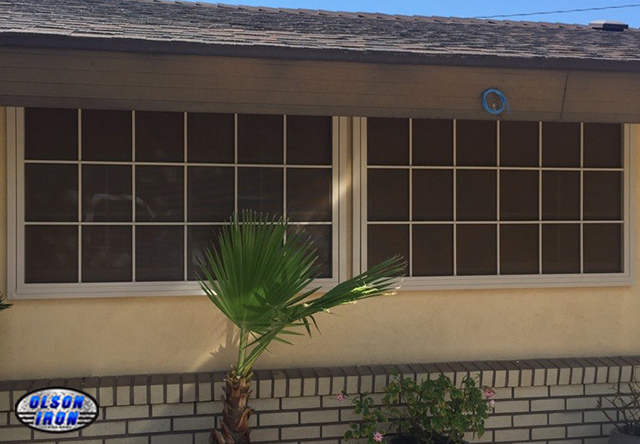 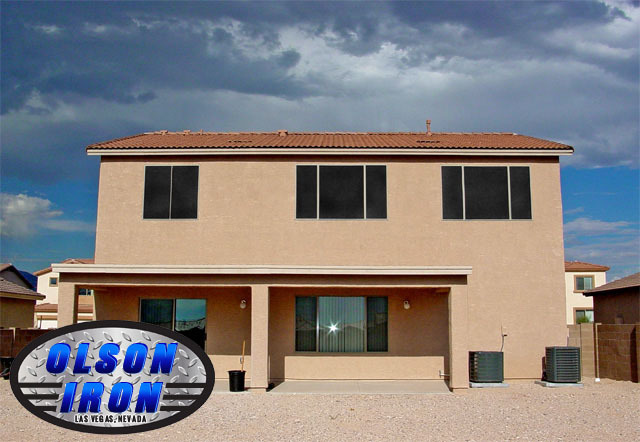 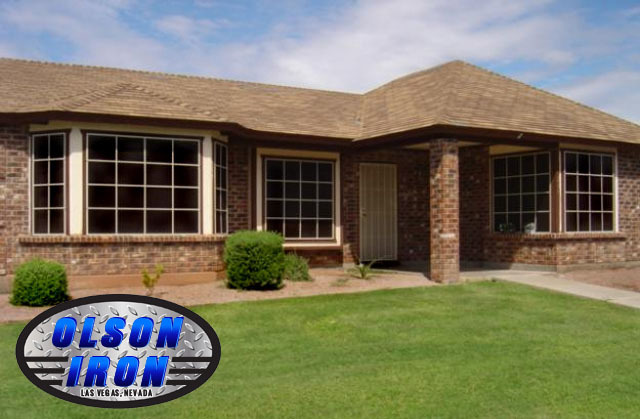 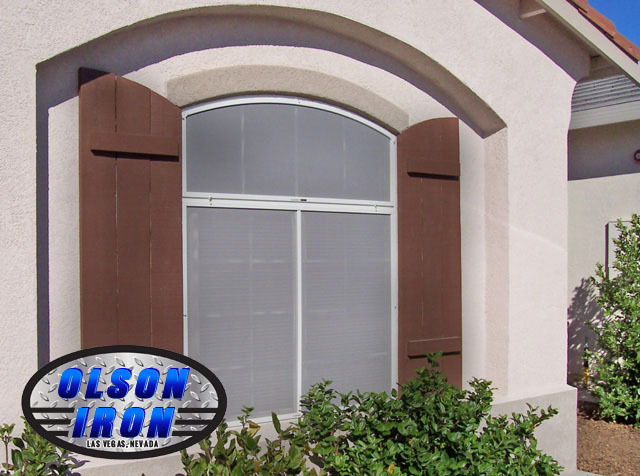 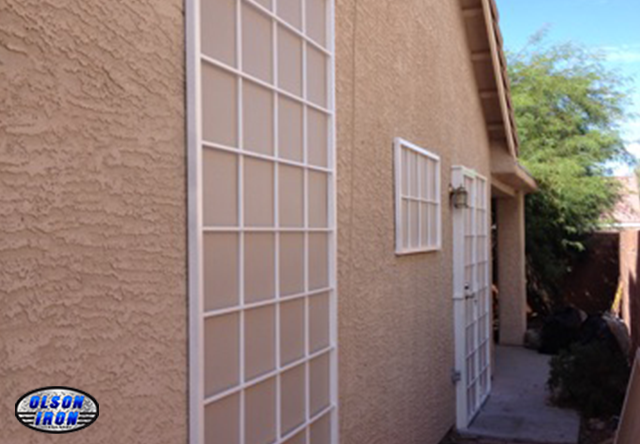 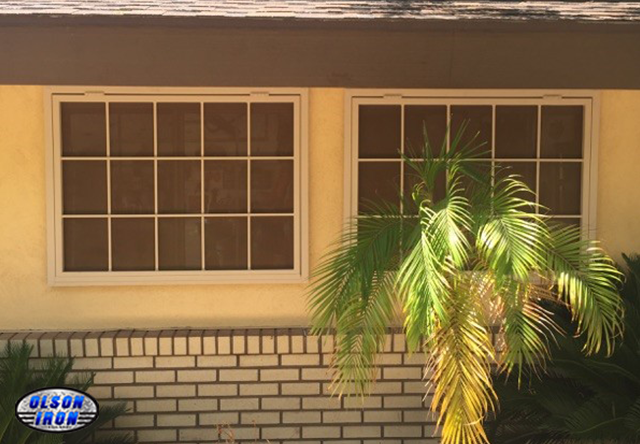 Olson solar screens on the exterior of your home can block 80-90% of the sunï¿½s energy before it heats your windows, dramatically reducing the amount of energy necessary to keep your home cool. 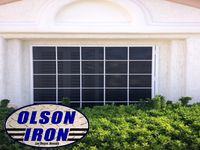 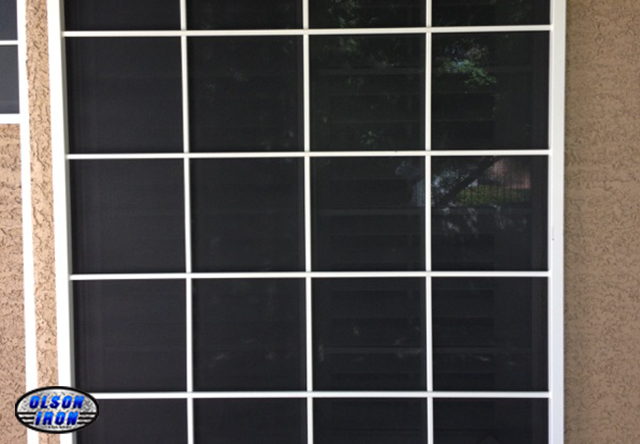 Some homeowners are hesitant to add Olson solar screens to their homes because they presume that solar screens will block their view; however, this is not true. 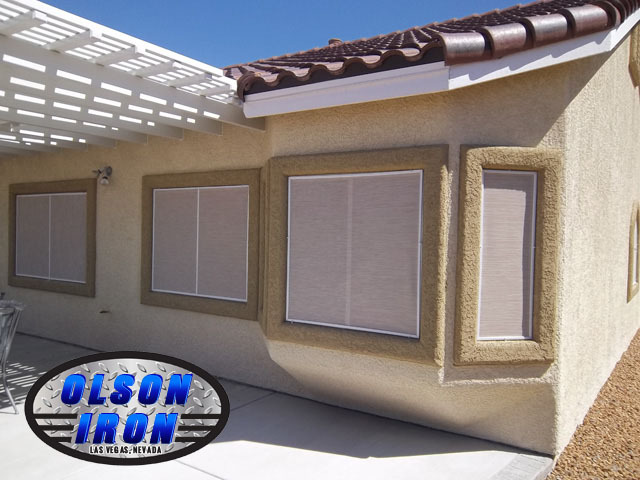 Olson solar screens will reduce the visibility from the exterior during the day, while still retaining the ability to see out. 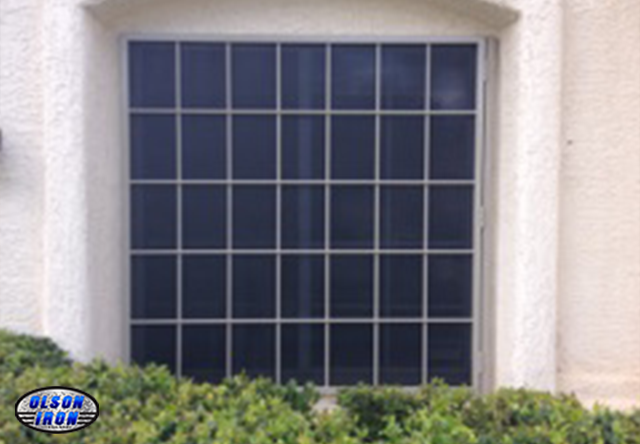 They also still allow indirect sunlight to illuminate your home.